You see that guy at the end of the bar? Sitting by himself, sipping that beer? You recognize him? No? You should, he played with the local team a while back. Well, pull up a stool, young man, as I regale you with the tale of Ali Dia, former English Premiership striker. In 1996, Ali Dia was a nobody in the soccer world. He was Senegalese born, back before the days when Senegal was considered a respectable soccer nation. He and his fellow countrymen were largely ignored by the bigger leagues in Europe, and their Colonial French history meant that they could transition easily into the lower level leagues of France. 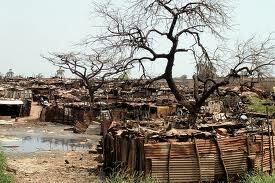 Really, there was no reason for those Senegalese soccer players to lament their fate; even the worst city in the worst region of France still beats the hell out of living in Dakar. Yet, Dia was unsatisfied. He had carved out a comfortable life for himself in the lower French divisions, yet he constantly sought tryouts in the English Premier League, or Division One (one level below Premier League, and far higher than the French lower divisions). He was rejected at pretty much each stop on his tours of England, including illustrious sides like Port Vale, Gillingham, and Bournemouth. Eventually, Dia wandered onto the training ground of the Blyth Spartans, a team in the seventh tier of English soccer. Here, finally, he had met a playing level with which he was comfortable, and joined the Spartans. Not Ali Dia! He refused to give up on his dream. But instead of that old adage about working hard and never giving up, he took a shortcut. He had a scheme in mind, but it would take one clever voice actor, and one desperate Premier League Manager. Graeme Souness was managing unheralded Premiership side Southampton in 1996, after failed stints at Scottish club Rangers, Liverpool and Turkish legends Galatasaray. At all three of his previous teams, Souness had managed to court controversy. In 1989, while with Scotland’s Protestant national club, Rangers, Souness signed Mo Johnston (the same one that began to run Toronto FC into the ground decades later), who was a Roman Catholic, and a former member of Catholic side Celtic, Rangers’ bitter rival. Johnston, and Souness, were subject to jeers and derisive chants from their own supporters, and Johnston soon decided to return to Celtic a year later. Souness moved on shortly thereafter. In 1991, Souness moved on to Liverpool, where he was a young manager on a team of old veterans. In any sport, that is a poor combination, and Souness was often challenged by his older players on many of his strategies. However, he again found himself in the centre of a whirlwind over off the field decisions. Souness outraged fans by granting an interview to The Sun, a newspaper that Liverpool fans had been boycotting at the time. In addition, Souness was often at odds with former Liverpool players, who he had banned from the locker room. This further disenfranchised Liverpool supporters. 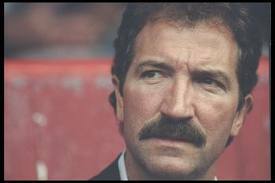 Once again, Souness had shown an inability to understand his surroundings, and was gone by the end of the 1993 season. Seeking escape, Souness turned to Galatasaray in Turkey. He joined them in June 1995, and lasted just one full season there. After the Turkish Cup Final in April 1996, when Galatasaray had defeated fierce rival Fenerbahce in their home stadium, Souness planted a Galatasaray flag at mid-field. This action nearly caused a riot to break out, and Souness was back on his way to England soon afterwards. This time, he was working at Southampton, and he was determined to make a positive name for himself. Even Dia must have been shocked that this scheme had even gone this far. He was being given a tryout, with a Premier League team, based on a phone call! Imagine getting to try out for the Houston Astros via e-mail. Unheard of. Premier League tryouts often involve a combination of teenaged players, local pick-up soccer stars, and older international players. In this level of competition, Dia must have looked legitimate. He was certainly built for the game. He was about 6 feet tall, wide shouldered and long legged; he looked like a prototypical African centre forward. And so what if his tryout wasn’t all that great? He must have been exhausted from his flight, and he was probably nervous about playing in England. Souness was determined to make this work, and after all, George Weah himself had recommended him. Souness offered Dia a month-long trial contract. Souness placed Dia onto the squad for an upcoming reserve match. (Reserve matches are meant to give backups a chance at 90 minutes of action with other reserve players) They exist almost specifically for cases like Dia, where managers want a longer look at new players in game action, without the threat of losing points in the standings of a real match. However, the soccer gods were smiling down on Dia (or, frowning upon Souness); the reserve match was cancelled, due to a waterlogged field. In addition, Southampton was dealing with numerous injuries, and Souness saw no other option than to put Dia on the bench for a real Premier League match on November 23, 1996. So, your phone call scheme has not only given you a tryout with a real team, but it has now given you a spot on the bench for a Premier League match. Let’s not mince words: Dia must have been shitting his pants at this point. Imagine going from a phone call to playing in a game in just about a week. Even in Dia’s wildest dreams, it could not have been this easy. 32 minutes into the game, Southampton striker Matthew Le Tissier went down with a knee injury. Souness turned to his bench, and pointed to the Senegalese striker with the number 33 on his jersey; Dia was in the game! He sprinted out onto the field, bouncing with excitement. For the next 21 minutes, Dia played “like Bambi on ice skates”, as it was described later by Le Tissier. He ran all over the field, with no semblance of structure or discipline. He misplaced passes, mistimed jumps, and lost the ball to every defender that even looked at him. In soccer, a manager only has three substitutions in a game. After using one to bring Dia into the game, Souness used a second to REMOVE him, in only the 53rd minute. Dia was released a week later, failing to even reach the full month of his contract. He faded into the netherworld of lower division English soccer. Souness also faded away for a time, escaping this boondoggle with jobs in Italy and Portugal, before eventually returning to England with Blackburn Rovers in 2000. It is hard to pinpoint who should be more embarrassed by this whole affair, Dia or Souness. But I lean towards the latter. So, have you ever wanted to take the field with a professional team? Think you could do what the professionals do? 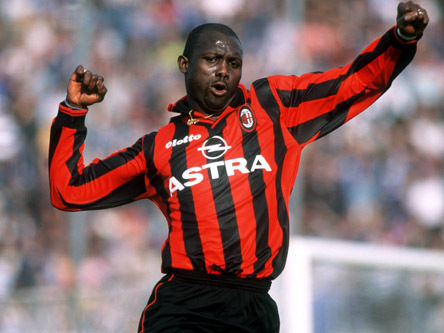 Ask Ali Dia, whose name lives on in infamy as the worst footballer ever. And if you still want to give it a shot, find a manager who’s looking a little desperate these days (many of Toronto’s current coaches and GMs fit that description). With a well-orchestrated phone call and a little bit of luck, perhaps you too could live out that dream. Even if it goes all Ali Dia on you, at the very least, you’d have the best bar story in the history of bar stories.